If you have always wanted an amazing real estate website which will have a sophisticated look along with easy user friendly interface, look no further as these Magento real estate themes will cater to all your needs. Create stylish blocks easily and set your website apart. These Best Magento themes will take your real estate business global. You can also see Real Estate Website Themes. Premium real estate template is crafted professionally with fully responsive design and is optimized for all screen sizes. It comes with frontend agent profile management, advanced search, dsIDXpress IDX integration etc. Download now! 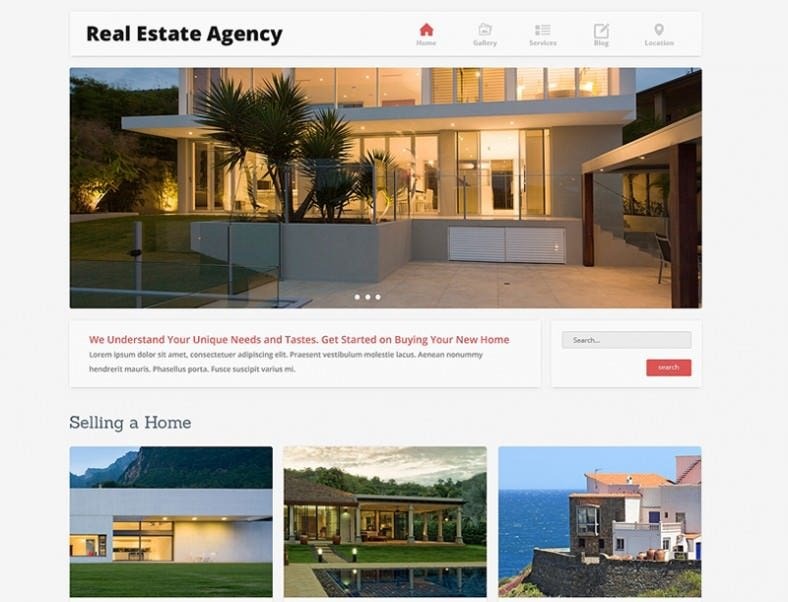 Real estate WordPress theme has clean intuitive design and advanced property filter along with custom colors and useful shortcodes that can save you hours to build number of elements for your website. Hometown real estate is responsive and retina ready. Download it to create your own website easily with amazing features like revolutionary sliders, property map, sticky header, mega menu and various other features. Best real estate turnkey comes with boxed and width layouts, multiple layouts for property showcasing grid, list etc. It has various pre-defined color variants that can be easily changed. Download now! Real estate agency responsive has custom page types with animated portfolios along with additional extensions, vast amount of module positions and advanced navigation to help your viewers navigate smoothly. 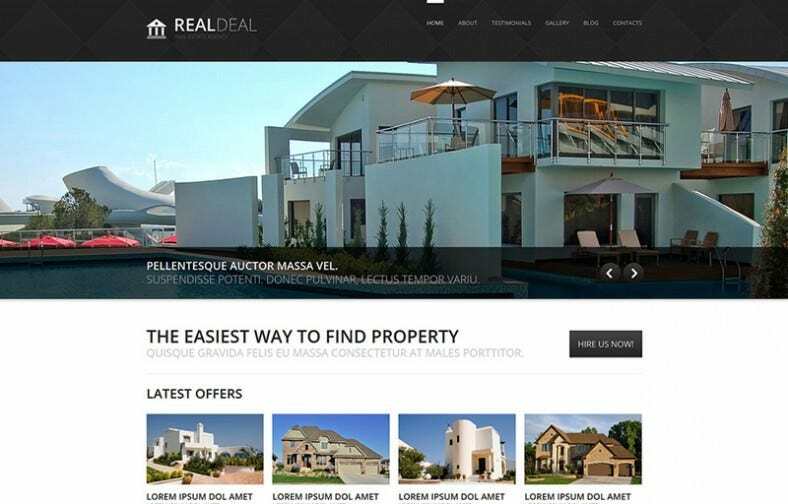 Responsive real estate store template has a beautiful, elegant design and comes with fully functional features. It integrates Google maps, web forms and useful shortcodes to help you customize your site easily. Provide a detailed list of your clientele to ensure that prospects can draw confidence from your services. Unique drop down menus will help in keeping a user friendly interface. Make a feedback section which will let viewers show their appreciation of your site. These themes provide vibrant color combinations and stylish fonts making your website look professional and elegant. There is also an option to create video sliders for viewers to go through all the real estate options available. Look out Real Estate Blog Themes. These premium options will help you to build your reputation and attract more viewers. Create a contact form to answer any queries related to real estate listings so that buyers know what they are getting into. These top class real estate themes are free and can be downloaded from the various websites online. Magento real estate themes are truly the best option for your real estate website.